Now that the Boy Scouts of America has accepted gay troops, gay leaders, trans boys, and girls into their ranks — alienating evangelical Christians and Mormons in the process because, you know, inclusion — it seems like open atheists remain the only people who aren’t allowed to be involved with the Scouts. But right-wing blowhard Todd Starnes says the Scouts will eventually let in atheists, too, because that’s how far they’ve fallen! … I predict this watered-down, culturally-compromised version of the Scouts will come full circle and lift its ban on atheists. Yes, I predict they will eliminate the name of God from their once sacred oath. Because once turn your back on your values — it’s pretty easy to turn your back on the Almighty. Turned their back on their values? Their values include honesty, loyalty, kindness, bravery, and cleanliness. Why would accepting gays and girls be a violation of any of that? The only value that’s unnecessary is “reverent” — and that should be dismissed from the list because believing in God doesn’t make you a better person. 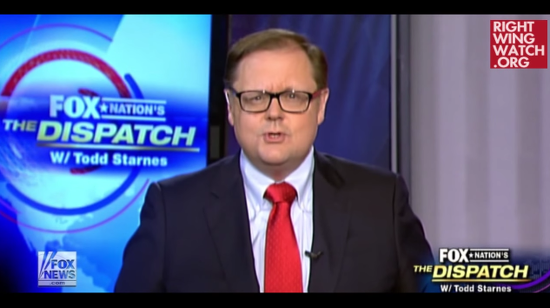 Todd Starnes is living proof of that. Starnes says the Mormon Church is leaving the Scouts because leaders were disturbed by the policy changes “including the inclusion of gays in scouting.” If that’s true, then the Scouts are better off with bigots in their midst. They lost anti-LGBTQ Mormons but they’ll gain a bunch of awesome girls and LGBTQ boys. That’s a trade worth making. 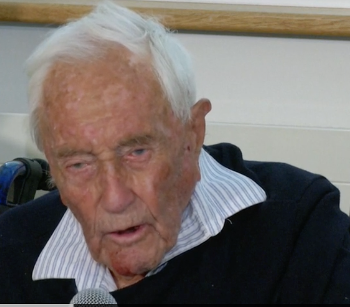 Why Would Anyone Oppose This 104-Year-Old Man's Decision to Die with Dignity? 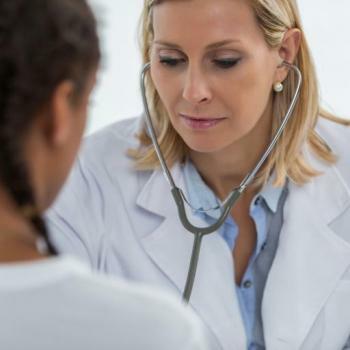 May 11, 2018 Christian Blogger: Women Are Taking Spots in Medical School That "Belong to Men"